BASSETERRE, St. Kitts, March 22, 2017 (Press Unit in the Office of the Prime Minister) – Excitement continues to build in St. Kitts and Nevis this week ahead of the People’s Labour Party’s (PLP) inaugural National Convention on Saturday, March 25, 2017, in Tabernacle. The National Convention is being held in accordance with the party’s constitutional mandate, which is to hold an annual convention in the month of March. This forms part of the party’s commitment to good governance and transparency. PLP’s Deputy Chairman Craig Tuckett, while speaking on “The People’s Voice” on Sugar City 90.3 FM earlier today (Wednesday, March 22), said anticipation for this particular event has been building since the launch of the party in 2013. 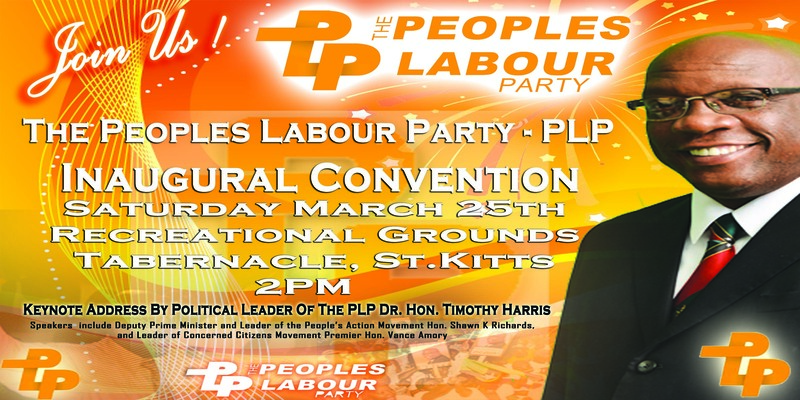 Prime Minister and Political Leader of the People’s Labour Party, Dr. the Honourable Timothy Harris said Saturday, March 25, 2017, will go down in history as one the most significant days in the party’s history. The historic meeting, scheduled to commence at 2:00 PM, will take place at the playing field in Tabernacle. 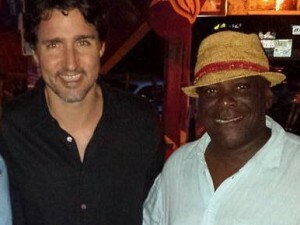 The People’s Labour Party, the youngest in the tri-party Team Unity Coalition, was registered on May 28, 2013 and officially launched on June 17, 2013.